Mary Ruth was a native of Bessemer and a 1947 graduate of Dunbar High School, 1951 graduate of Alabama State University and obtained a Masters Degree from Livingston University in 1969. 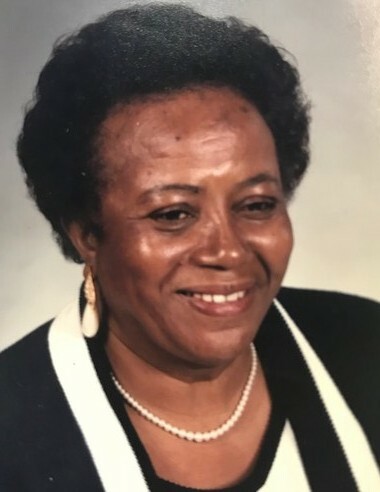 She was a long-time resident of Sumter County, a retired educator, a member of Alpha Kappa Alpha Sorority, Inc. and a member of Order of the Eastern Star. Service of memory will be Saturday, March 10, 2018 at 11:00 AM at Grants Chapel CME in Cuba, AL (5290 Co Rd 10 36907). She will lie in repose Friday at Westside Funeral Home Fairfield from 9-11:30 AM and from 3-6 PM at Weatherly Funeral Home in York, AL (1575 4th Ave 36925). Westside Funeral Home Fairfield directing. She is survived by a loving and devoted cousin, Patricia Seay, Montgomery, AL; and niece Brenda Patton, Chicago, IL; brother, Eugene Edwards, Hunstville, AL; sister, Willie Mays (Terry) Jones, Tuscaloosa, AL; sisters-in-law, Adriana Patton, Gary, IN, Eliza Delaine, York, AL; nieces, Tara (Terrence) Seay-Hunter, Gwynette Wills, Arnetta Lucky, Burnetta Baskin, Quita (Lew) Robinson, Jeanette Lowery, Lenora Brown, Katrina (Quinten) Barlow and Cassandra (Bennie) Dixon; nephews, Warren Patton,, Walter (Denise) Patton, Jr., Elloit Patton, Roy Nigel (Tyese) Hunter, Corey Hunter, Herschel (Rhonda) Sissac, Terry (Annette) Nunn, Arvell (Vrita) Delaine and Gregory (Denise) Delaine; and many cousins, relatives and friends.